As promised, this week’s Dreamy Organic bed is the opposite of last week’s bright and beautiful collection. Yes, this week it’s calm and laid back; grey chambray and natural. What’s your mood today? Calm and mellow. Or fresh and summery? Either way, this dreamy collection fits the bill. Chambray? On a bed? You better believe it. And you won’t be disappointed. 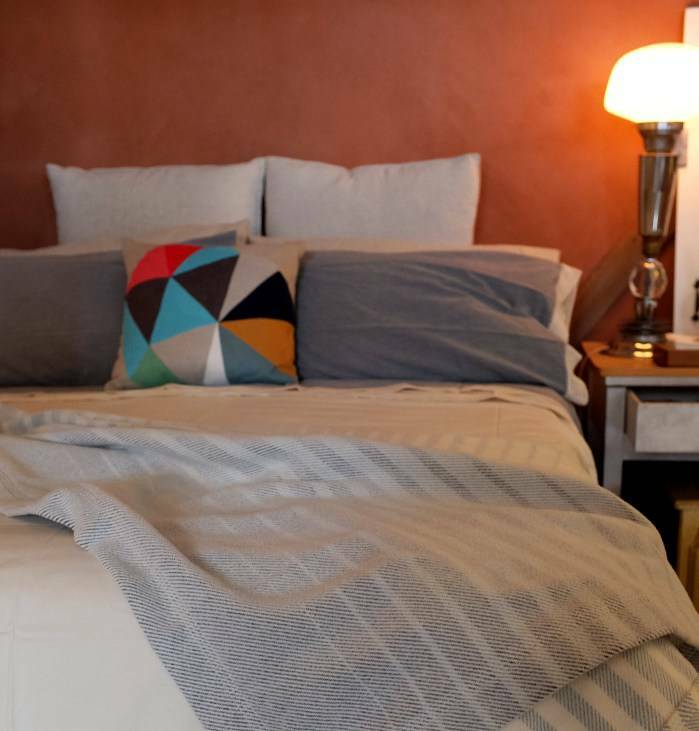 These finely woven Organic Cotton sheets are crisp and get softer with each wash. Crawl in and get cozy. The soft blend of organic cotton and pure natural wool make the Coyuchi Ombre throw blanket the perfect accessory to this palette. Made with the exceptional quality we’ve come to expect from all the products coming from Coyuchi’s German manufacturing base, add this exquisite accessory to your spring display. The unique crocheted flange on the grey chambray plays well with the fine lace trim on the Coyuchi Organic Percale. 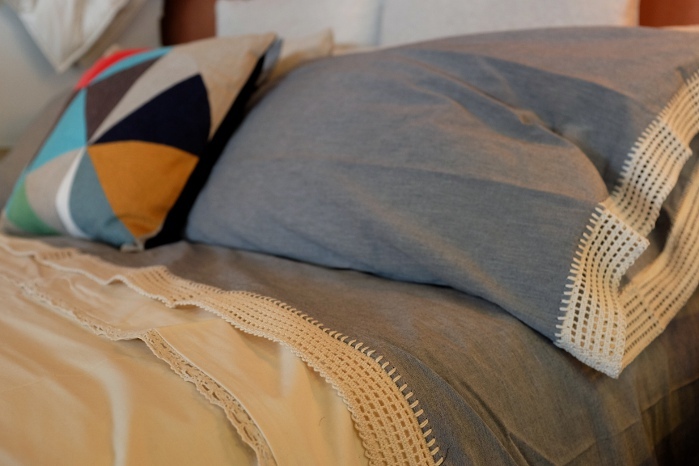 The colors fade back from the rich grey chambray, to the light warm grey of linen, with the Coyuchi Pure Linen pillowcases, to the natural unbleached cotton percale. Tones on tones. 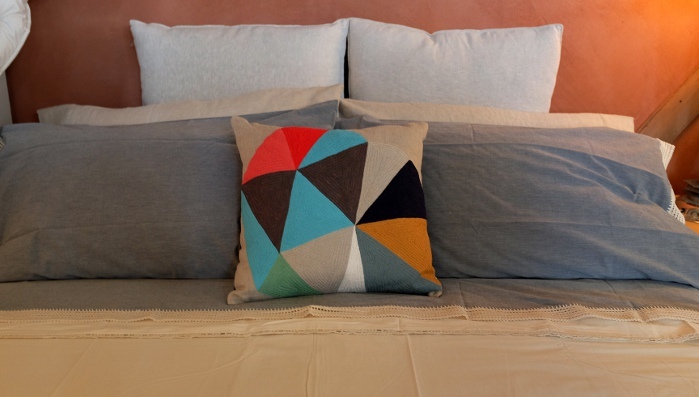 And of course we can’t resist adding just a splash of color, with the solo decorative pillow, front and center.